The viola was a neglected solo instrument. Its part was limited to filling harmonies and little melodic material was composed for it for a long time. However, over the centuries the role of this instrument has significantly changed. By the twentieth century it gradually became widely recognised. More and more composers wrote for the viola, and many pieces were arranged for it as well. 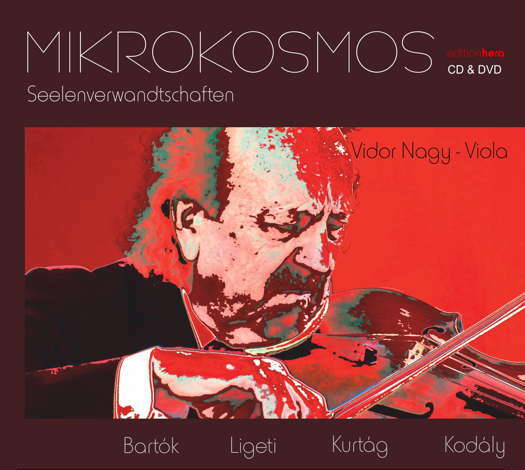 On this CD, Vidor Nagy performs four highly respected Hungarian composers' viola masterpieces. Béla Bartók (1881-1945), Zoltán Kodály (1882-1967), György Ligeti (1923-2006) and György Kurtág (born in 1926) were all interested in this instrument. Testing its limits, they composed several modern works for it. Hungarian viola player Vidor Nagy (born in 1942) completed his studies at the Ferenc Liszt Academy of Music, Hungary with Pál Lukács and later continued his musical education in Germany with Bruno Giuranna. He has given recitals in the USA, Canada, the former Yugoslavia, the Soviet Union and, of course, in his native Hungary as well. He has released many CDs and played in the Franz Liszt Chamber Orchestra and the Staatorchester Stuttgart for years. Mr Nagy is endeavouring to extend the repertoire for the viola by transcribing famous opuses. Confirming this, the first piece on the CD is his own arrangement for viola of Bartók's Sonata for Solo Violin (Sz 117). 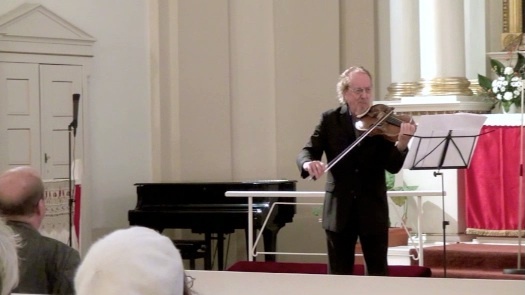 Though the four-movement piece is extremely demanding technically, he interprets this wondrous work with ease. György Ligeti's Sonata for Solo Viola is one of the most significant viola pieces of the twentieth century. In the six-movement suite-like composition the elements of Baroque music and Eastern European melodies are combined with jazzy and Latin American harmonies. The rich blend of music, as well as rhythm, results in a curious, never-heard before style. György Kurtág's Jelek (Signs) (Op 5) is a cycle of six short pieces. Each of them has a different mood. Listening to the set, one can notice Anton Webern's clear and concise musical construction and Bartók's impact on Kurtág's music. The last track is Kodály's Adagio for Viola. The composer wrote this piece in his early period. There is no sign of Hungarian folk musical elements yet. The mellifluous sound, the doleful melody, as well as Vidor Nagy's sensitive performance convince the listener that both the artist and instrument are worthy of recognition. To my great disappointment, it should be mentioned that there are many grammatical errors, spelling mistakes and some historical inaccuracies in the CD booklet. This is so confusing. While reading it, I brooded that this reflects negatively on the whole recording. Why did nobody correct them?